It’s believed that the Jury Mast Knot was made as a temporary rigging knot. 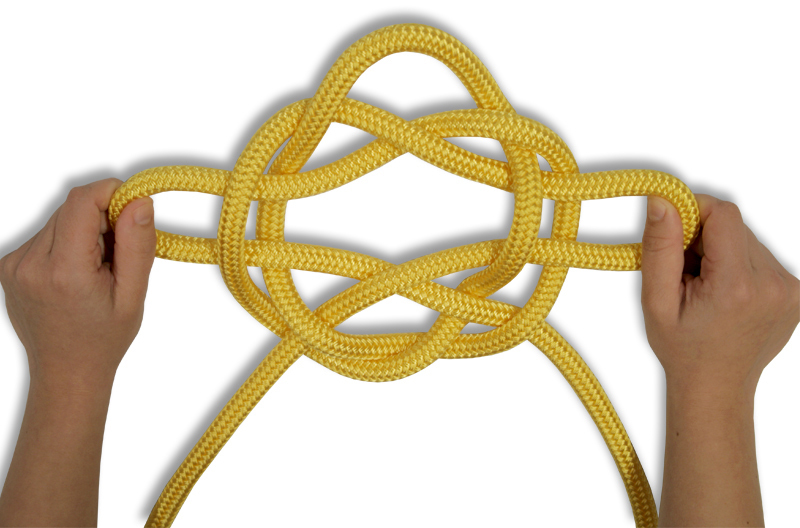 If the existing rigging would fail, you could tie this knot, poke the mast through the center of the knot and secure temporary stays to the loops created on each side. However, when used for this purpose, you run the risk of the knot slipping. 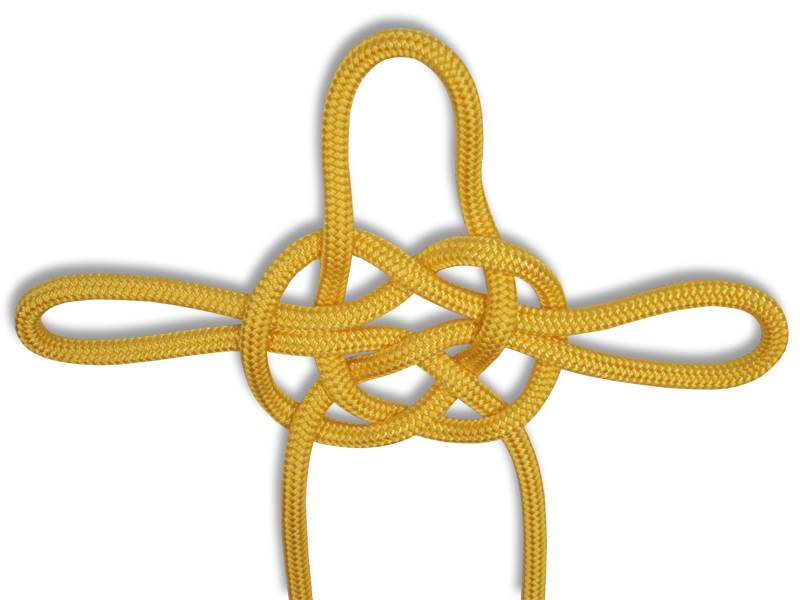 These days it’s more commonly used as a decorative knot. 1. Create 3 crossing turns, crossing the working end underneath standing end each time. 2. Now move your left hand underneath the left side of the first crossing turn, over top of the left side of the second crossing turn and grab hold of the left side of the third crossing turn. Move your right hand over top of the right side of the third crossing turn, underneath the right side of the second crossing turn and grab hold of the right side of the first crossing turn. Left hand: under, over, grab. Right hand: over, under, grab. 3. 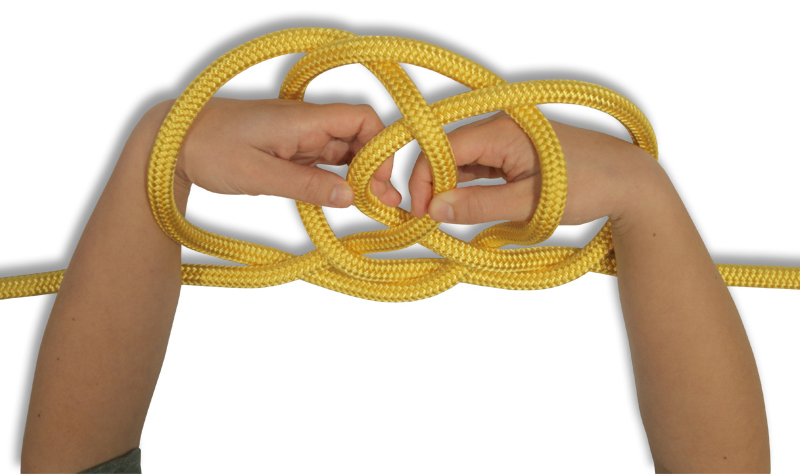 Pull on the parts of rope you grabbed in step 2 until you have created 2 loops on the outside of the knot. 4. Dress the knot to create a cross shape. This could also make a lateen jury rig. The top loop would go ’round the mast-spar, the two side loops could wrap around the mast and support the gaff, or upper , spar. Lateen rig is used in the popular Sunfish. A mast with two “L” shaped spars. You could still run it through the guide in the masthead.